If you’re researching Retractable Awning prices, you should educate yourself on what motorized awnings typically cost. Researching prices for motorized awning installation in your local area will help you set your expectations. We recommend you read the 2017 Retractable Awning Pricing Guide. According to HomeWyse.com – the price for retractable awning installation of a base perimeter motorized awning was $1,536.54 and the high end was $2,156.21. In most areas of the United States – Manual lateral arm retractable awnings start at around $2,000 with installation and a motorized retractable awning can range as high as $3,000. While certainly on the higher end of awning prices; when compared to aluminum or fabric awnings, a retractable awning is consistently listed as one of the best investments that pays for itself within a short amount of time. Who are retractable awnings for? Everyone! What type of homeowner usually buys a motorized awning? All types! From high end homes to modest homes – a retractable awning remains a consistent choice for homeowners of all walks of life. Why Buy a Retractable Awning For My Home? Many people think a motorized awning is a feature that’s a luxury they can’t afford – this couldn’t be further from the truth. A retractable awning is certainly by no means a luxury item. 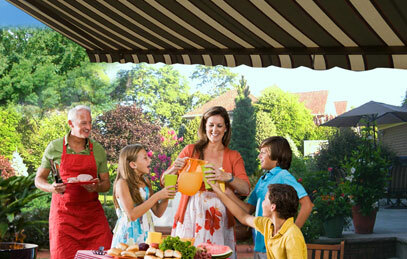 Motorized awnings are very common in backyards and frontyards across the United States. 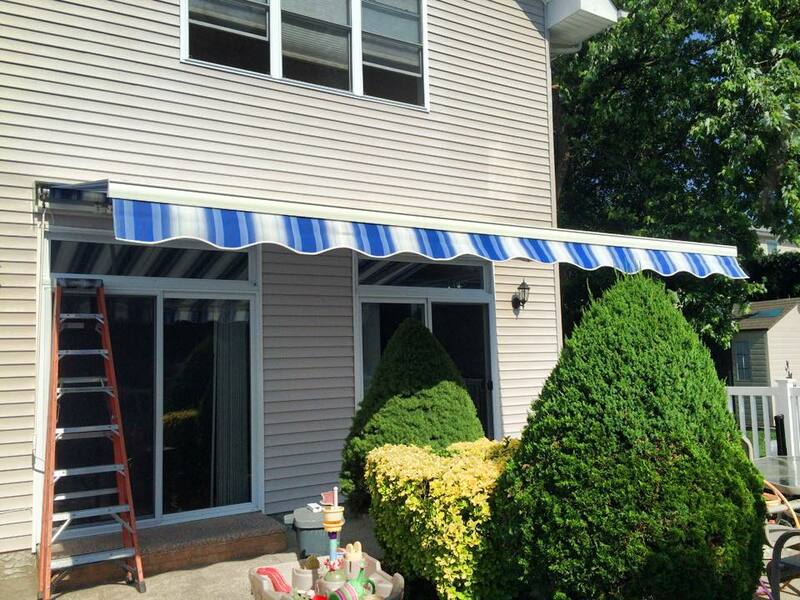 Not just for high end luxury homes – motorized awnings are found everywhere! 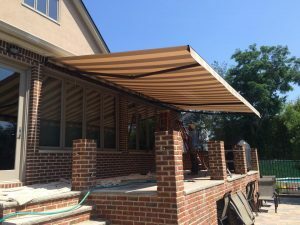 For homeowners who are considering getting a quote on a retractable awning installation for the patio or deck or for who take the Do-It-Yourself approach and prefer to purchase the equipment and handle the installation of their retractable awning themselves – it’s important to consider all the variables that go into installing a motorized awning. Here’s an important one to remember – despite popular misconceptions – a motorized awning is an affordable backyard amenity that will enable your family to fully enjoy their backyard environment. Don’t miss out on the convenience and comfort a retractable awning can bring to your life just because you’ve heard that they’re too expensive. This is a relatively inexpensive amenity nearly any homeowner can afford. 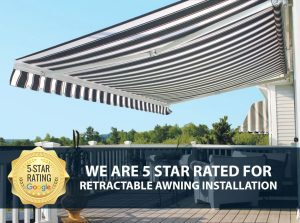 We’ve been selling and installing retractable awnings for over 3 decades and one thing we’ve learned in over 30 years of business is that by and large homeowners who elect to install a retractable awning are mostly doing so for common reasons. We recently asked 100 customers why they chose to install a retractable awning and here were the top 5 answers they gave us. Automatically add shade to any area of the yard with the push of a button or crank. Enjoy their outdoor environment, cool your backyard off fast on hot sunny days. Protect family and friends from harmful UV rays of the sun. Add a stylish element to compliment the home (many fabrics to select from). Adds value to the home and pays for itself over time.